Today’s workforce is one of the most unique in history: as retirement age keeps getting pushed further and further back, it’s not uncommon to see members of four or even five generations working together professionally. There are businesses that have employees with more than 50 years of experience working alongside young adults fresh out of college, with more employees from larger generations sandwiched in-between. Modern recruiters are faced with the complicated task of understanding each generation to attract, engage and hire top talent that fits their business needs. Navigating current workplace demographics and finding out what makes each generation tick are crucial to business success. The Silent Generation make up the oldest – and smallest – age demographic in the workforce. While most members of this generation have already retired, there are still a few that continue to work professionally. Some may work part-time in second careers or side jobs to supplement their retirement income, so it’s not likely that too many members of the Silent Generation still work in their main careers. One common characteristic of this generation, however, is that they tend to be the most technology-challenged group, which could cause tensions between them and members of other generations. Baby boomers find themselves in a different position now than years past: they are no longer the largest element of the workforce and retire at a rapid rate, yet still make up a full quarter of all US workers. Boomers have the most experience in the workforce, enjoying senior leadership and executive-level positions in companies throughout the country. Most boomers have become accustomed to working with Gen Xers and millennials, but many of them will be out of the workforce by the time Generation Y – their grandchildren’s generation – start their professional careers. Until recently, Gen Xers made up the majority of the workforce. It wasn’t 2016 when millennials finally took over the top spot. That being said, there are still almost as many members of Generation X in the workforce as millennials – 53 million compared to 56 million, respectively. Gen Xers occupy many senior management levels in their companies and have learned how to work closely with millennials and baby boomers, but will now have to add Gen Zers to the list of those they manage. For years now we’ve been talking about millennials transforming the workforce with a focus on social responsibility and an ingrained knowledge of technology. Millennials also introduced the trend of job-hopping, as they only stay at companies for shorter periods of time than other age demographics. Now, as they move into middle- and senior-management positions and age into their 30s and 40s, millennials must contend with the fact that they’re not the new kids on the block anymore. Generation Z began entering the workforce this past year, leading a demographic that numbers around 61 million – larger than both Generation X and millennials. Gen Z brings with them new attitudes towards work and technology, and this is where recruiters need to take the most notice. This is a generation that was born into texting and social media, so employers need to adopt new communication and branding strategies to attract top talent from this group. Modern recruiters need to have the right information to attract, engage and hire members from each generation, depending on their business’ needs. 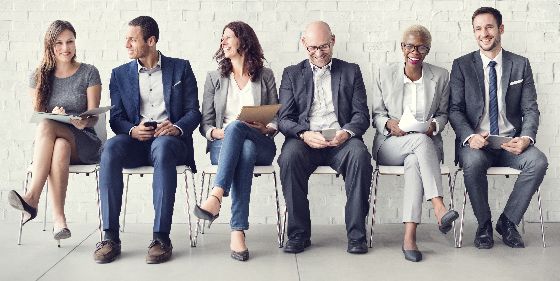 Download this white paper, Best Hiring Practices for the Modern Recruiter, to learn how the right hiring solutions and talent acquisition tools can help recruiters hire members of any generation.